Double sided foam servo tape. Works great for mounting servos and receivers to car, plane and boat models. Super sticky adhesive on both sides for secure holding power. 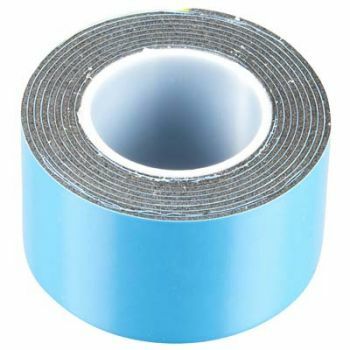 One roll of double-sided servo tape. Length: 36" Width: 1" Thickness: 1/32"
Note: We recommend cleaning and heating the surface that this is adhering to, then after tape is applied reheat for the strongest adhesion.